and I'm going to be more worried about getting to bingo on time rather than how pretty my legs look in my knee length pleated skirt. 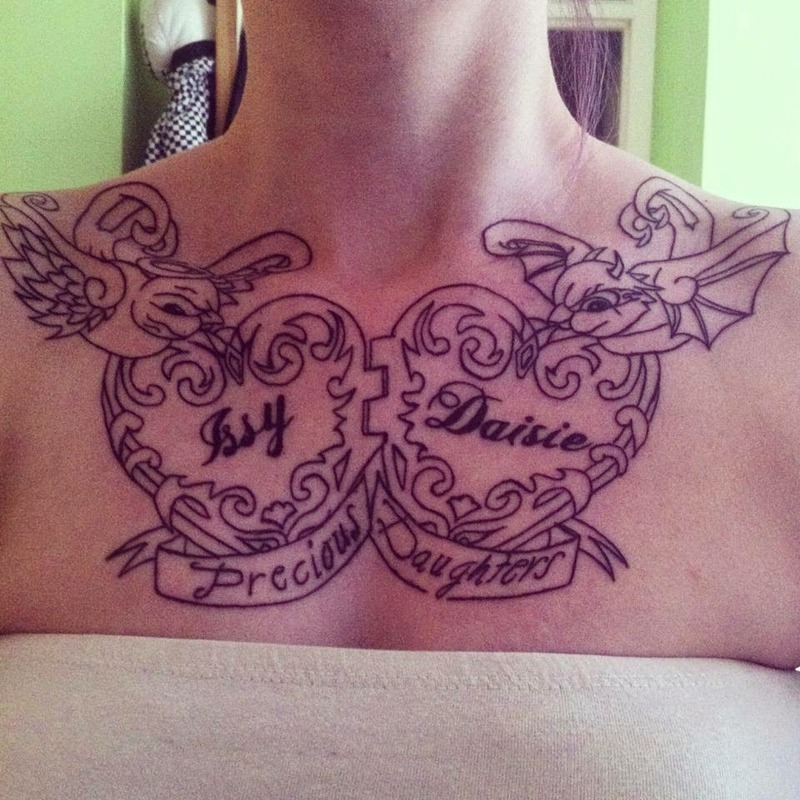 Chest - My chest is a piece that's dedicated to my girls, The devil and angel swallow represent that children can be little angels but such little devils too! Not that Daisie is the naughty one and Issy's the good one like everyone seems to think. Fingers - Not all of them have a meaning but two have a meaning I have an A on my ring finger for Andy and I have a fishing hook on my little finger (Andy loves fishing and we used to go for the weekend every now and then) We plan to make it a family thing as soon as I can drive. Candy cane heart on my hip - I have a candy cane heart on my hip that's black and white tho (being a Tim Burton fan and all that) It has the date of mine and Andys first Christmas together, Andy also has matching on his leg.